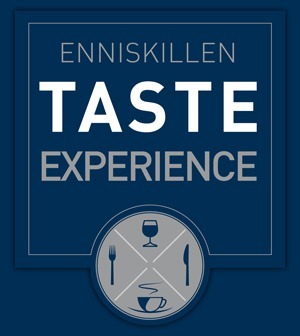 The term ‘Enniskillen Taste Experience’ or ‘us’ or ‘we’ refers to the owner of the website whose registered office is 22 Clover Brae, Tempo Road, Enniskillen, Co Fermanagh BT74 4AB. Our company registration number is NI656417 registered at Companies House Belfast. The cookies we use are “analytical cookies” sent by Google Analytics. Cookies are not used by us to identify who you are or send you targeted advertising. Neither we nor any third parties provide any warranty or guarantee as to the accuracy, timeliness, performance, completeness or suitability of the information and materials found or offered on this website for any particular purpose. You acknowledge that such information and materials may contain inaccuracies or errors and we expressly exclude liability for any such inaccuracies or errors to the fullest extent permitted by law. Your use of any information or materials on this website is entirely at your own risk, for which we shall not be liable. It shall be your own responsibility to ensure that any products, services or information available through this website meet your specific requirements. From time to time, this website may also include links to other websites. These links are provided for your convenience to provide further information. They do not signify that we endorse the website(s). We have no responsibility for the content of the linked website(s). Your use of this website and any dispute arising out of such use of the website is subject to the laws of England, Northern Ireland, Scotland and Wales.